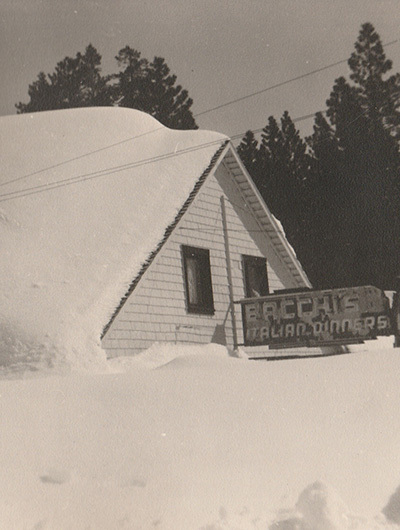 Bacchi’s opened for business in 1932 at its present location as a small restaurant built by George and Josephine Bacchi and relatives who had followed them to America from Sicily. 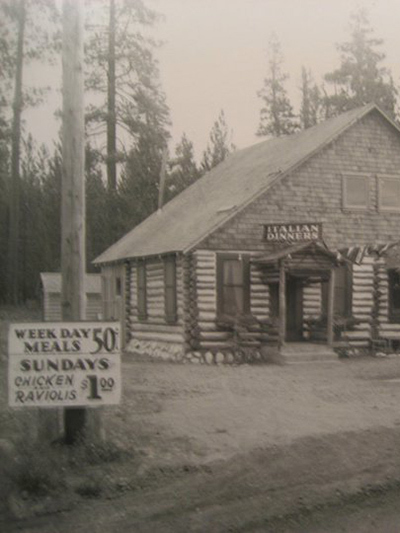 As business grew at Bacchi’s, the family kept its firm control. George and Josephine’s daughter Sara married Bill Hunter. Although the daughter of the founders died in 1977, her recipes live on . 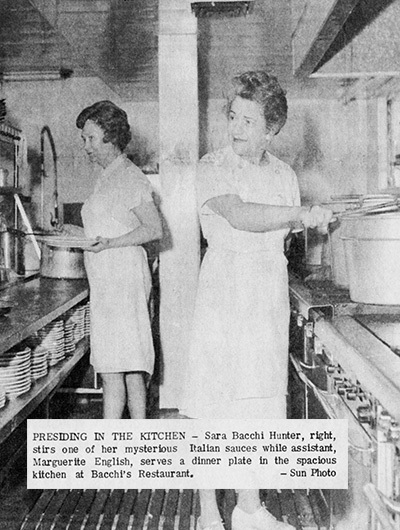 . . Until her death, Sara was the head chef at Bacchi’s. Working 12 hours a day, seven days a week, she was responsible for most of the 41 (count ’em!) 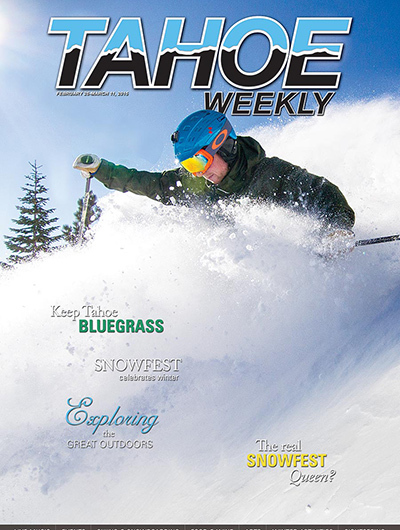 menu items that still appear and set the standard for the restaurant.